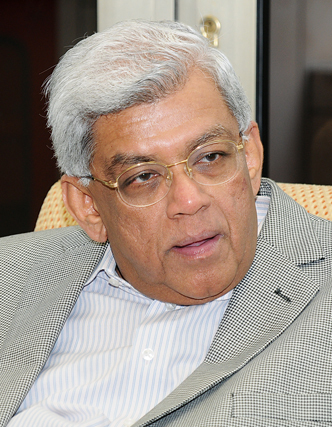 Deepak Parekh, Chairman of HDFC, was appointed to the Satyam Computer Services Board after its promoter confessed to fraud early this year. 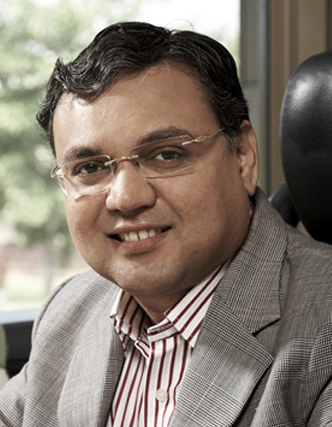 In an interview with Sanjay Kallapur, Associate Dean for Faculty Development and Professor of Accounting at the Indian School of Business (ISB), he talks about lessons from the Satyam scandal, the challenge of crisis management, the role of auditors and independent directors, and the state of the accounting profession in India. Sanjay Kallapur: Satyam is your most recent success in crisis management. What lessons can you distill from your experience about both solving a crisis once it has happened and preventing similar crises before they happen? Deepak Parekh: Preventing a crisis is very simple if your intentions are clear, and you don’t want to cheat the company you own or work for. We need to understand the red flags for crises like these. SEBI recently introduced a provision where you now have to disclose the promoters’ holdings and share-pledging in the quarterly financial results. So the basic lesson from the Satyam crisis is that you need to have a whistleblower policy. Fraud of this magnitude, one that has obviously been going on for so many years, cannot be a one-man job. Others in the organisation may have been behind it. But the problem is that shareholders give their money to promoters and managers, and at least some of this group is going to be unreliable. In that case, what are the independent directors doing? What are the regulatory agencies doing if it is a bank or a finance company? You know there are outside agencies that monitor some of these performance measures. An independent director’s job is not to protect the promoters, but to protect the minority shareholders. But if every board member is a rubber stamp and goes by what the management or the promoter says, then there is no solution and the minority shareholders are at a great risk. How does one manage a crisis once it has happened? What went right with Satyam? On the first day, there were a number of things that we had to handle – from losing clients to assuring customers that their work will get done, because Satyam’s work is 24/7. So we had to assure customers that their work won’t suffer because that was critical to them. We had to convince the management that we were there to help them and not to find faults. Another big issue was funding. There was no money in the bank accounts and all the receivables, coming in and due, would be taken over by the bank lenders. There were a lot of bills that had not been paid for over six months. We had to ask the banks to believe in us, to accept our liabilities but not stop transactions because that would paralyse us totally. Then we went to two banks that were extremely sympathetic, IDBI and Bank of Baroda, and we got some loans from them in a very short period of time. Satyam had two campuses in Hyderabad which were not pledged, but the land was given by the Andhra Pradesh Industrial Infrastructure Corporation Ltd (APIIC). So we needed APIIC permission, which took around three days as it was such a hot political issue. Then we needed lawyers because a couple of cases were pending and some class action suits had also been filed. We had to spend a lot of time with lawyers, SEBI, and many regulatory and investigating agencies. From day one, we were absolutely clear that we had to find a partner who could take on the company. So, while managing the environment, we were also talking to investment banks on how to go about finding a buyer, how to be transparent, how to be open, and what needed to be done. What gave you the confidence that you would find a buyer? We had the confidence because from day one, almost all the customers said they were extremely happy with the quality of the work. Satyam had developed a reputation with international companies that they do good job. If their service quality had been below average or poor, we would have thought of liquidation. But we tried to avoid liquidation. So the faster we sold, the better it was for everyone – the employees, the minority shareholders and the system. That’s a good ending and a great story with lots of lessons learnt. Going on to the next topic, one of the groups that should have been doing their job in the Satyam case were the auditors. What would you say about the state of the auditing profession in India, particularly given the restrictions on the size of the firms, and the restrictions on the entry of foreign firms? Is the Indian auditing profession serving the needs of Indian companies? I am a chartered accountant but I think that there is need for a sea change in the accountancy industry. First of all, the number of large global firms has come down to four. We need more choices, more variety and more competence. India, on the other hand, has a large number of chartered accountancy firms. Most of them are small and many specialise in taxation, as taxation in India is so complex. because on the job you are cheap labour. Firms don’t pay articled clerks or they pay very meager sums. If we want to improve the accounting profession, we need to spend time and money to train people better, because Indian businesses are growing and accountants are necessary for a number of things. The Indian Institute for Chartered Accountants must put on its thinking cap and look at the best training we can give our accountants because what we are getting today is inadequate. Another issue I wanted to ask you about was the institution of the board of directors. In light of all the reforms that are taking place, what in your view does it take for the board of directors to fulfil its role of protecting the minority investors? First of all, there is Clause 49, which requires you to do a number of things like have an independent board of directors. The biggest concern is that many companies today are flouting Clause 49. But nothing happens to them because there are far too many companies listed. I don’t think SEBI and other regulatory bodies have the mechanism to go after all of them. For example, if the chairman is an executive director, 50 percent of the board must be independent directors. I have had many people write to SEBI saying that we are not able to get enough independent directors so we have not adhered to your rule. So there is no penalty for those who flout Clause 49 and there is no reward for those who comply with it. Our regulatory mechanism must be such that if you don’t comply with any of the conditions, you will get de-listed or you have to pay a fine. Only then will companies be disciplined. On the other hand, seeing what has happened in many companies – be it a scandal, fraud, misappropriation or anything else – the board of directors are held up and independent directors get trapped. After the Satyam incident, many people have resigned from smaller and marginal companies. The regulators must understand that no industry can keep doing well every year; every industry will have ups and downs. You can’t say I will be a director when the company is going up and I will leave when company is going down. I have one last question. You were on several boards and regulators have expressed some concern about people who are busy directors. I agree you cannot be a director at too many companies, but in my case I am a director of many companies through the HDFC connection. These are separate from independent companies, for which you should have a limit of five or seven directorships. Today the upper limit on directorships is fifteen. But the number also includes subsidiaries of independent companies. On the other hand being connected to so many companies and people can be an advantage to the companies that you serve on. I would like to leave some of them. I have threatened and requested the owners, the management and the chairmen, but in India no one wants to leave you. They say you have to continue. Now SEBI is considering a new recommendation, which I believe is very good. While it has not formally introduced the regulation, SEBI has recommended that directors should have a term limit of nine years. So no director can continue after nine years. But most companies have interpreted this as nine years starting from the introduction of the regulation, not including the years served till the regulation. So even the recommendation is being loosely interpreted.